What you need to start vaping in 2018 is a common question in today’s era for beginner vapers, since products and the technology that guides them continue to improve. 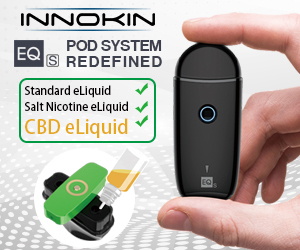 We are beyond the days of recommending e-cigs that were designed to mimic the traditional look of a cigarette, and those old eGo style vapes just won’t cut it in today’s advanced vaping market. Whether you like it or not, the times have changed, new devices have emerged, and vaping consumers deserve to know what’s the latest and greatest when vaping in 2018. Here’s what you need to start vaping in 2018! 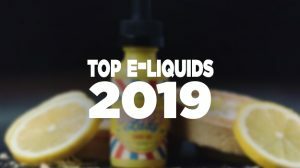 There are a total of 5 pages in this guide, so feel free to scroll through each of them to learn exactly what it is you need, to start vaping in 2018! While there are many routes to take so that you’re completely satisfied with a setup, manufacturers have started creating an abundant amount of vape setups known as starter kits. The starter kits of today come with a variety of different features, and some of them tend to work better than others. 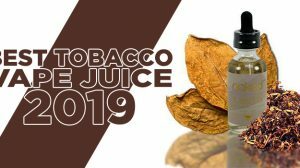 In the older days we would have recommended you a simple and easy setup to get you off and running into clouds of vapor, but those times have changed and vaping in 2018 means there are plenty more options to choose from that will deliver more satisfactory results. Don’t let the title of this section detour you, these quick and easy setups only reference the convenience that they offer in that the manufacturer has already paired products together, such as a mod and tank. These starter kits are able to deliver loads of power and produce exceptional flavor and vapor production. 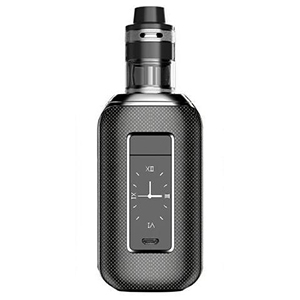 SMOK G-PRIV 2 230W Kit: The SMOK G-PRIV 2 Kit is a remarkable setup to own and use. It combines the G-PRIV 2 Box MOD with the TFV8 X-Baby Tank, a duo that was designed for superior performance. The MOD itself is constructed of zinc alloy materials and is available in several color options. It holds two 18650 batteries, resulting in extended vape sessions and the ability to reach up to 230W. Along with great power, it also has other features that make this a notable device, such as a two inch OLED touchscreen, a stealth firing bar mechanism, temperature control, and five drawing effects that allows you to toggle between min, max, soft, normal, and hard. This kit only gets better when you add in the SMOK TFV8 X-Baby Tank, a sub-ohm tank constructed of superior stainless steel and glass materials, and built upon a 24.5mm diameter base. It offers so much in such a small form factor. Enjoy a large 4ML e-liquid capacity, a convenient top-fill design with a hinge lock, top airflow control using two slots, and a black delrin ultra-wide drip tip only enhances the airflow. What next you ask? How about the use of the improved TFV8 X-Baby Turbo Engines Coil Structure. 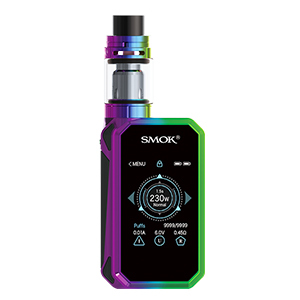 It utilizes the X-Baby Q2 dual coil and X-Baby T6 sextuple coil, resulting in the ability to reach up to 80W with the Q2 and 130W with the T6! 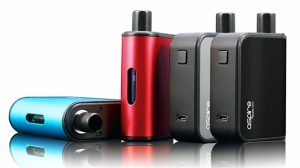 Aspire SkyStar 210W Kit: The Aspire SkyStar is another brilliantly paired setup that delivers an amazing performance. This beautiful duo consists of the SkyStar Box MOD and the Revvo Tank, two products Aspire has received loads of popularity from here lately. The SkyStar Box MOD features an impressive 1.3-inch touch screen with automatic display adjustment. And, not to mention it offers a super appealing appearance to say the least. On top of its great looks, you can also expect a magnetic battery access door that houses dual 18650 batteries. Charging is made simple with a built-in micro-USB port with a 2A max charge rate and the ability to upgrade its firmware in the future. What makes this mod even better is the ability to reach up to 220W and take advantage of a full temperature control suite. While the MOD is great, the tank is what I like this most about this kit. The Aspire Revvo Sub-Ohm Tank is constructed of stainless and glass material and features a 24mm diameter. It offers a drip tip that acts as a drip cap and features a 12mm wide bore. In addition, it has a threaded top fill design and the tank can up to a 3.6ML e-liquid capacity. 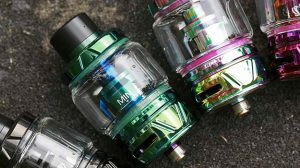 The top also sports triple top adjustable airflow, and here comes the best part — it uses the new ARC (Aspire Radial Coil) Coil Family, which is a horizontal orientated coil with a stovetop design. This coil is very impressive, it offers incredible flavor and vapor production, and it has the ability to reach up to 100W. Vaporesso Revenger X 220W Kit: The Vaporesso Revenger X Kit is just another you can add to the list of awesome setups. It isn’t so much because it offers a sleek chassis with an incredible design, on top of flashy color schemes, it’s more so because of its internal features. Granted, the magnetized battery door that holds dual 18650 batteries, its single button control face and 0.96 OLED display make a huge impact. However, what’s most impressive is the micro-USB port with a 2.5A quick charge system and its OMNI Board 2.2 chipset, which features six total output modes, the capability of reaching up to 220W, and a full temperature control suite. 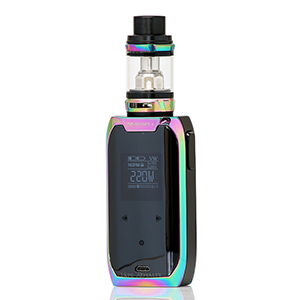 The Vaporesso NRG Tank is constructed of stainless steel and glass materials, it has a 26.5mm diameter, a slide to fill top fill design, and a large 5ML e-liquid capacity. Furthermore, you’ll think highly of this tank because of its dual adjustable bottom airflow control, its heat insulation layer, and of course because of the GT Coil Family that’s used with this tank. These coils, the GT4 and GT8, offer dual and quadruple vertical coil structures and will allow you to reach up to 110 watts! While some may feel as if these kits aren’t ideal for someone to start vaping on, I feel otherwise. These kits may dish out many features and a large amount of power, but that doesn’t necessarily mean you have to use them to their full potential. In fact, each one of the mods in these kits can range as low as 1W and beyond 200W. The tanks also use coil heads that offer a wide range of power they can be used, in addition to each tank featuring adjustable airflow control that will allow you to open up the airway for more vapor or the ability to block some of the airways to stiffen up the draw for less vapor and airflow. Simply put, I look at it like this — buying a kit is an investment and will allow you to vape with the best performance as a beginner, and when you’re ready to take advantage of some of its more advanced features or its high wattage, it’s ready and available at your discretion. i was a smoker back in a days and then i quit smoking and start vaping and now i feel so much better and it is scientifically proved that vaping is so much less harmful then smoking and i am totally agree with you its a safe time to start vaping and quit smoking.. I agree with you every body who is smoker and wants to quit vaping is the best alternative do it. I know this because i was one before and now i am a proud vapor.